Accident benefits are an important part of car insurance coverage. No driver wants to get injured in a car accident, but if you do, you can take peace of mind in knowing statutory accident benefits will help pay for healthcare and other expenses and more while you recover. 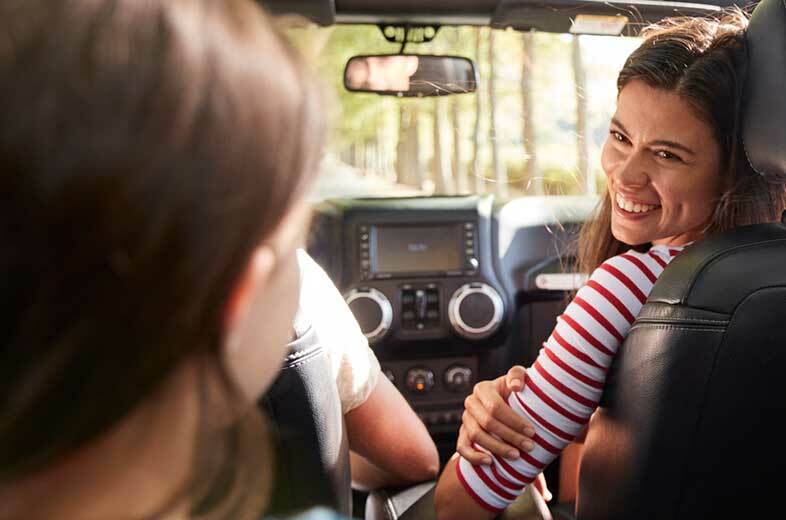 In this blog, we will take a look at what is covered by accident benefits in Ontario under the statutory accident benefits schedule and answer common questions drivers have about this part of their car insurance policy. The accident benefits schedule also referred to as SABS, is an important document that outlines what is covered under the accident benefits portion of your auto insurance policy. The statutory accident benefits schedule of the Insurance Act in Ontario is applicable to all basic auto insurance policies. It outlines the mandatory and optional accident benefits and coverage limits for medical care, income replacement, death benefits, funeral expenses and loss of income from disability. You can review the statutory accident benefits schedule for Ontario here. 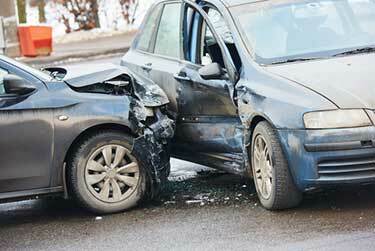 Accident benefits provide compensation if you or others are hurt or killed in an auto accident. Accident benefits include coverage for passengers and pedestrians included in the accident. Ontario is a no fault insurance system. Fault does not have an impact on if the coverage is applicable. Income replacement benefits : If you are unable to work, you may qualify for income replacement benefits of 70% of your gross income, capped at $400 per week. You have the option to increase coverage of up to $1000 per week. Caregiver benefits : If you cannot provide care to a dependent, you could receive compensation to hire someone to help you care for them. Coverage is applicable to specific injuries. You can add optional coverage to include all injuries. Non- earner benefits : If you don’t qualify for income replacement, are a student, and cannot continue on daily life as previous to the accident, you may qualify to receive non-earner benefits of $185 per week. You are provided with coverage of up to $65,000 for non-catastrophic injuries or up to $1 million for catastrophic injuries. You have the option to increase coverage for non-catastrophic injuries to $130,000, increase coverage for catastrophic injuries to $2 million. 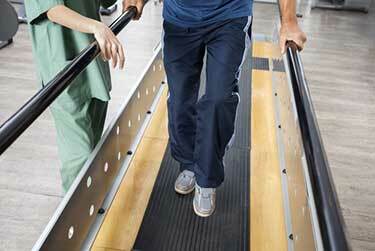 Medical and Rehabilitation Benefit : This covers the cost of health care and rehabilitation as a result of an accident. Benefits include physiotherapy, prescriptions, chiropractic, counseling, and other services that are not covered by OHIP or through your group insurance plan (if applicable). Medical care and costs that qualify are listed in the statutory accident benefits schedule. Attendant Care Benefit : You will be provided with assistance at your home or healthcare facility to help you recover from a serious auto accident injury. You have the option to increase benefits to $50,000 for your spouse, $20,000 to dependants, and $8,000 for funeral expenses. Lost educational expenses : Compensation for lost tuition, books and other education related expenses up to $15,000. Expenses of visitors : Reasonable expenses incurred by family and friends to visit you during recovery and treatments. Your spouse, children, grandchildren, parents, grandparents, siblings, certain other dependants, and guardians qualify. Housekeeping and home maintenance : Receive up to $100 per week for reasonable expenses to help with housekeeping and maintaining your home while you recover. Damage to clothing, glasses, and other belongings : Receive compensation for damaged clothing, glasses and other personal medical devices damaged during the accident. Cost of examinations : Compensation for the cost of examinations related to treatments as part of your recovery from an accident. You have the option to increase to coverage limits for income replacement, medical care, caregiver benefits, death and funeral benefits, and other accident benefits. Dependent care benefits : This will cover up to $75 per week for your first dependant and $25 for each additional dependant. This can only be claimed if you were employed at the time of the accident and have to pay for additional childcare expenses due to injuries sustained from an accident. Indexation : This gives you an annual adjustment for inflation for accident benefits. Adjustments are done in accordance with the Consumer Price Index of Canada. Increasing your coverage limits for accident benefits will increase your car insurance premium. All passengers involved in an auto accident are eligible for accident benefits. Regardless of the type of accident or who was at fault, you will almost always be covered by insurance. You will need to file a claim against the driver’s insurance coverage. The drivers insurance you submit a claim with will depend on the situation. There will come a time after an accident where you will be approached by your insurance company to settle your accident benefits claim. In Ontario, you must wait one year before settling your accident benefits claim. Your insurer will propose a fixed amount to settle and close your claim. Once you agree to an accident benefits settlement, you cannot request additional compensation from your insurer. How much you settle for can affect litigation for tort claims against an at fault driver if you are pursuing legal action. Always assess your situation before settling. Speak with a lawyer or your insurance broker about your options. It’s important for you to understand your options and how much you are entitled to before making any settlement decision. Medical payments : up to $50,000 per person. Death benefits : head of household $10,000, plus 20% ($2,000) for each dependent survivor after first, plus an additional $15,000 for first survivor and $4,000 for each remaining survivor. Grief counselling also provided up to a cap of $400 per family member. Disability income benefits : 80% of gross weekly wages to up a maximum of $400/week for up to 104 weeks. You also have the right to sue for pain and suffering. The maximum awarded for a minor injury is $5080. You also have the right to sue for economic loss that is in excess of no fault benefits. Accident benefits are included in minimum car insurance coverage requirements in all provinces with the exception of Newfoundland. The coverage limits for medical payments, replacement income, death benefits, funeral costs, and the ability to sue vary from province to province. Car insurance accident benefits provide anyone injured in an auto insurance accident with compensation for medical costs, lost income, and other costs related to injury recovery and rehabilitation. What Is LAT Accident Benefits? The License Appeal Tribunal (LAT) is an independent agency that oversees statutory accident benefits coverage disputes under the SABS. If you have a dispute over an accident benefits settlement with your insurance company, it will be resolved by LAT. Do Accident Benefits Include Income Replacement In Ontario? Yes. Accident benefits income replacement is included in basic auto insurance coverage. You can increase your coverage limits to qualify for up to $1000 per week in compensation. Is Accident Benefits Mandatory In Ontario? Yes. 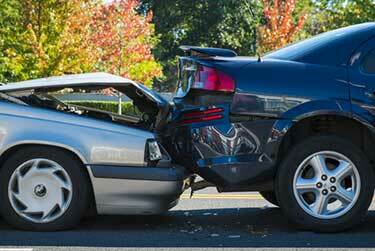 Auto accident benefits in Ontario are part of mandatory car insurance coverage. Is Accident Benefits Mandatory In Alberta? Yes. Accident benefits coverage is included in basic auto insurance coverage in the province of Alberta. Can You Settle Accident Benefits? Yes. Most accident benefits claims eventually get settled. You must wait one year to settle your accident benefits claim in Ontario. Do I Need To Fill Out An Application For Accident Benefits Form? Yes. You will need to fill out an application for accident benefits (OCF-1) form. It is part of the accident benefits application package. 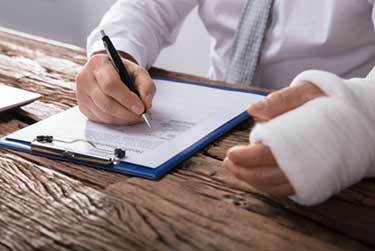 You must submit this paperwork as part of your accident benefits claim to your insurance company. <<Commercial vs Personal Auto Insurance - What's The Difference?